Why Does Human Resources Blatantly Violate The Law When It Comes To Protecting Employees In The Workplace? 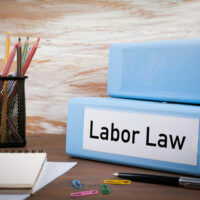 The Society for Human Resource Management featured an interesting article recently discussing why and how human resources (HR) lets employees down when it comes to abiding by labor law, and presented various case studies in their article. While today’s HR professionals are perhaps better trained and equipped than ever to protect employees, fundamentally, there are still too many complaints going unaddressed due to issues such as cronyism, fear of retaliation, reluctance to confront higher-ups, inadequate training, lack of diversity, and cultures that ignore or even condone or encourage such behavior. While good CEOs may recognize that, in order to properly run an HR department, they need to put someone in charge that is willing to lose their job for the sake of ensuring that the law is followed and blind spots are exposed, unfortunately, this isn’t always how it happens. HR professionals who have significantly close relationships with a particular executive and/or hold them in high regard tend to have difficulty being objective when allegations arise against that particular executive, particularly if those same HR professionals are trying to prove their own worth to that same executive. Top Performers Get A “Free Pass”? Although blatantly illegal, another reason cited as to why HR may give a pass to an executive employee’s behavior could be due to what the misbehaving employee brings to the company in terms of income or performance. This was allegedly an issue at Uber, for example, where employees who were sexually harassed and reported it were told that the manager they were reporting was a “high-value” employee, and thus nothing would be done. Similar allegations were also made of Fox News, where Roger Ailes, notorious for making sexually inappropriate comments to employees, was allegedly never held accountable because he made the executive chairman of the company “a lot of money,” where the chairman “worried that perhaps only Ailes could run the network so successfully.” Even after several lawsuits were filed after these executives had significantly crossed the line, the chairman was still loyal to Ailes and other executives who ran his companies. It is entirely possible for employers to ensure that HR has the proper level of autonomy when it comes to being objective by going about hiring in the right way. For one, relying on a panel of individuals instead of one person to hire staffers in HR allows for greater diversity in these decisions. In addition, during the hiring process, that panel should make asking questions about holding higher executives accountable a top priority. If you’ve been the victim of a legal violation in the workplace, there’s simply no excuse for HR allowing it to pass by unnoticed. With over 20 years of experience representing people in state and federal employment discrimination cases throughout Florida, we know what types of questions you probably have. Contact us today at the office of Robert Norell to find out more.